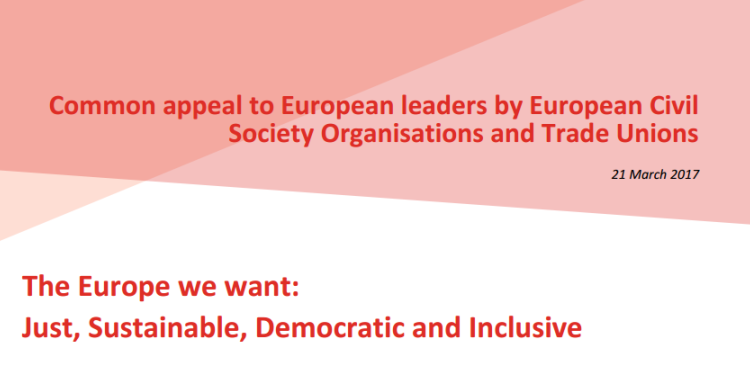 On the occasion of the 60th anniversary of the Treaty of Rome, EUROMIL signed the statement “The Europe we want: Just, Sustainable, Democratic and Inclusive”. It was initiated by a group of six civil society organisation and trade unions, amongst which the European Movement International and the European Trade Union Confederation and consequently signed by 237 organisations. It calls on European leaders to acknowledge that European solidarity is much needed to deal with the manifold challenges ahead. The full statement including eight concrete calls to action is available here.